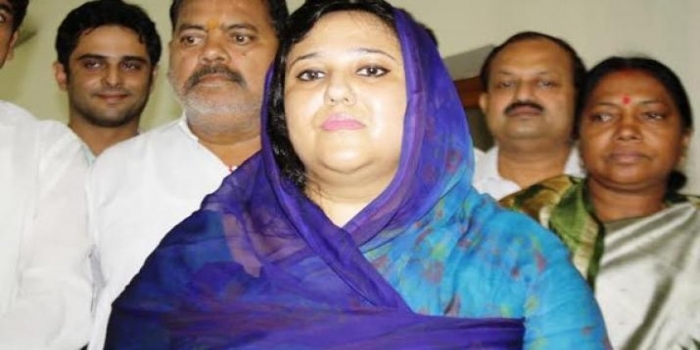 Pratyusha Rajeswari Singh who is the sitting MP of the ruling BJD party of Kandhamal constituency is quite upset and dissatisfied with party supremo and Chief Minister Naveen Patnaik, as she is denied ticket for the upcoming Lok Sabha polls. She said, she may resign and fight the upcoming election from any party who offers her a ticket or she may even fight alone as an independent candidate. If sources are to be believed, she might get a ticket from the BJP party to fight from Puri or Nayagarh Lok Sabha constituency. BJD on Monday declared edu-entrepreneur Achyuta Samanta as its candidate from the Kandhamal Lok Sabha Seats for the General elections. In 2014, Rajeswari was elected in the Lok Sabha by-election from Kandhamal, Odisha. She is the wife of the former MP Hemendra Chandra Singh.